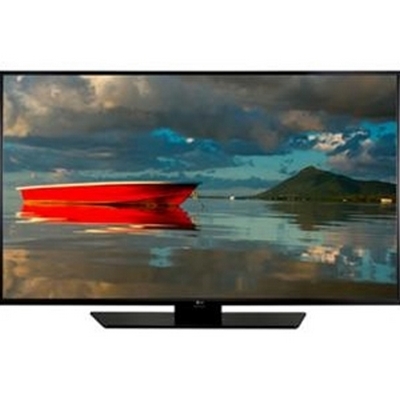 High contrast ratio of 500,000:1 delivers crisp and vivid pictures with the deepest blacks. 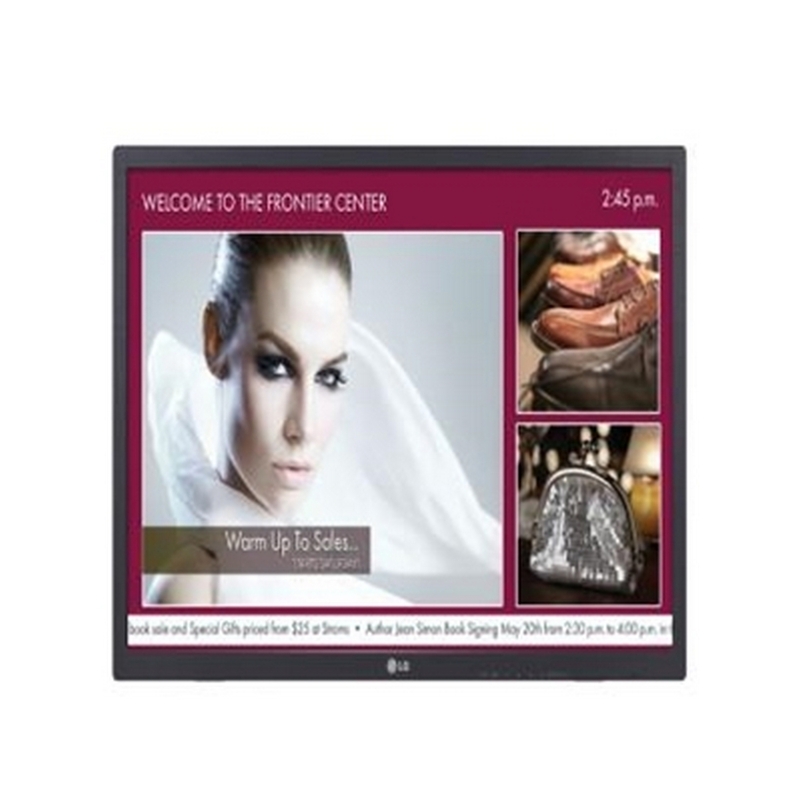 The black SE3KB Series 32SM5B Full HD Signage Display from LG is a commercial-grade display that is suitable for digital signage applications. 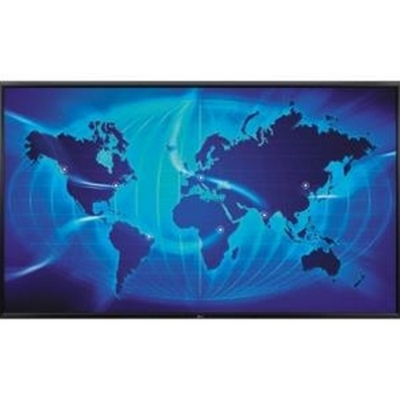 The 32" monitor features a 1920 x 1080 native resolution for viewing detailed high-definition images. Built-in Wi-Fi and an embedded SoC allows you to manage content conveniently. 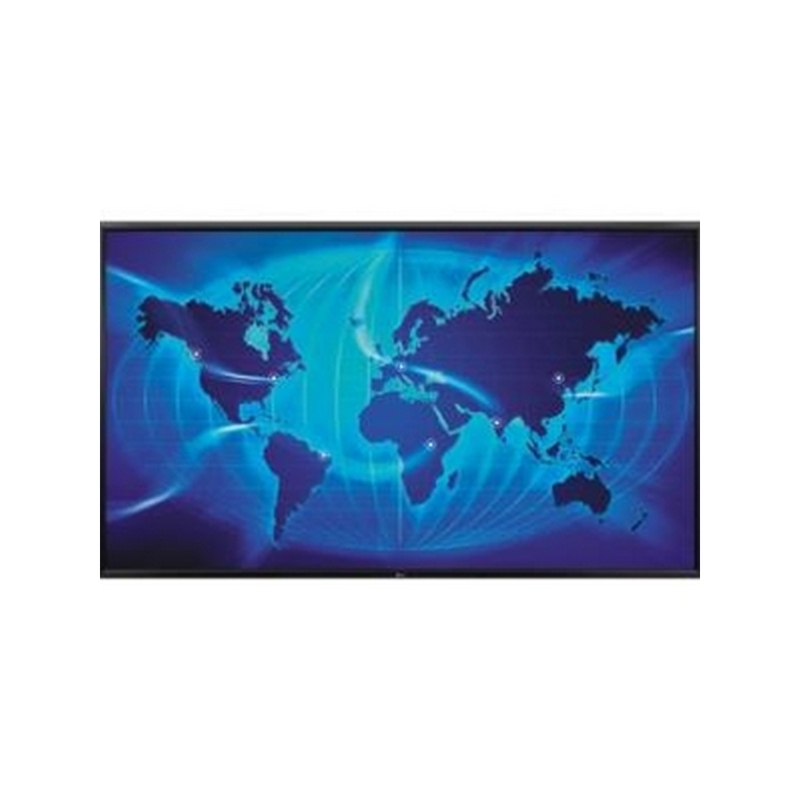 A stand is sold separately, and the display is compatible with optional 200 x 200mm mounts for wall placement. The High Performance SoC can execute several tasks at the same time and provide smooth content playback. The webOS 2.0 platform provides powerful and convenient tools to create content, including app development materials and support for various operating systems (Windows, Linux, Mac OS X). The monitor feature well-organized cable terminals on the rear. 32SM5B features a built-in IR receiver which can be detached and adjusted as per your environment. The SM5B with SoftAP software can operate as a wireless access point for mobile devices. With BEACON and Bluetooth Low Energy (BLE) supported by SM5B, retail stores can provide coupons and information in real-time. The SM5B is compatible with an optional OPS Kit to connect a third-party OPS player or HDBaseT box. Users have the flexibility to choose any media player as long as it complies with the OPS. Circuit-board reliability is enhanced with conformal coating that protects against dust, iron powder, humidity, and other harsh conditions. Enables content in the internal or external memory to be displayed without dead spots when none of the external inputs is working. The monitor performs the signal switching automatically. Detects screen failure and sends an alert log by email. 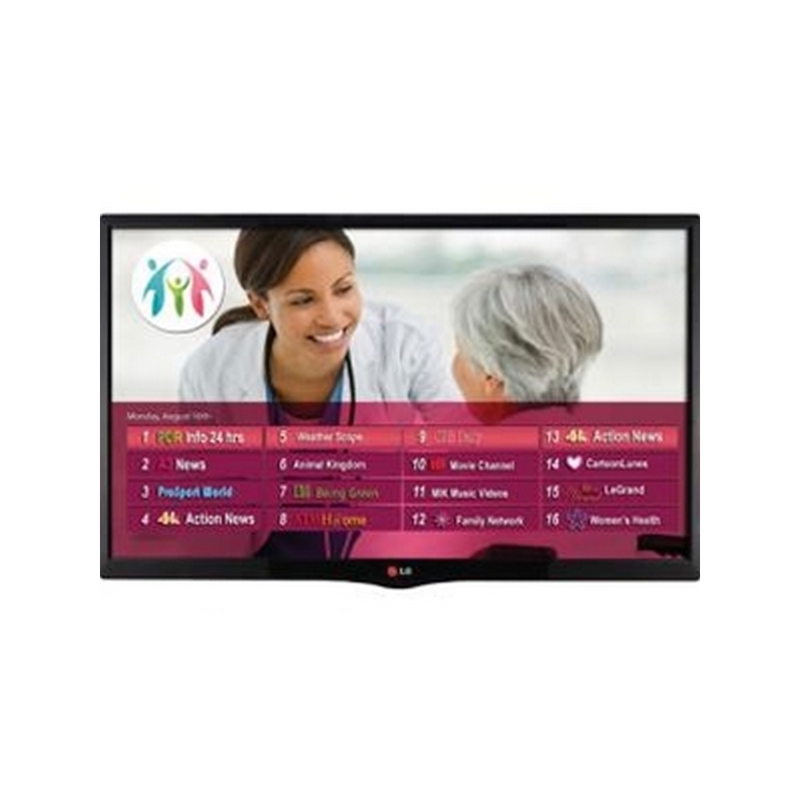 The LG Pro:Centric LY560M 28"-Class Hospital-Grade LED HDTV is well suited for use in hospitals and doctor's offices. 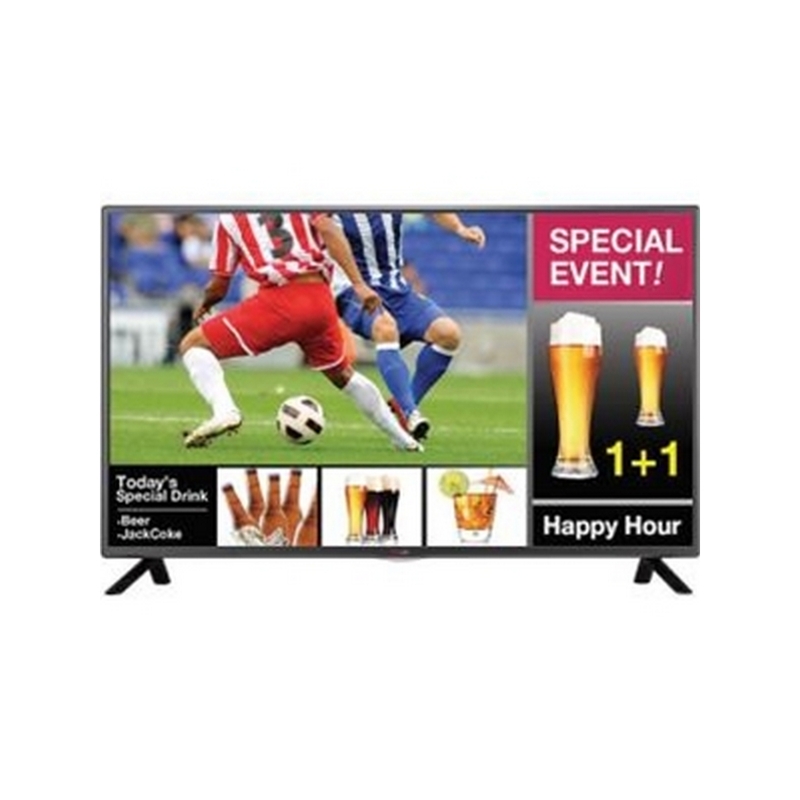 This model has a 28" class direct LED display and features native 1366 x 768 HD resolution for viewing detailed high-definition content. 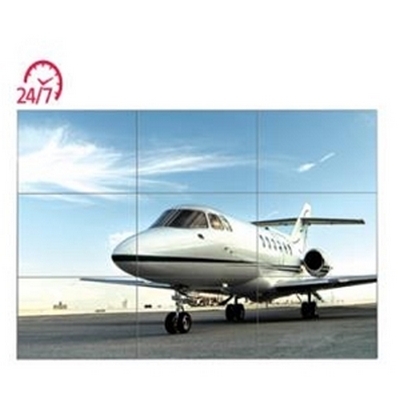 The panel has a 60 Hz refresh rate to combat image blur and distortion on moving images. Integrated Pro:Centric and Pro:Idiom support allows the TV to connect to interactive content via its single tuner. This LG commercial TV features USB connectivity, which supports USB memory device cloning. 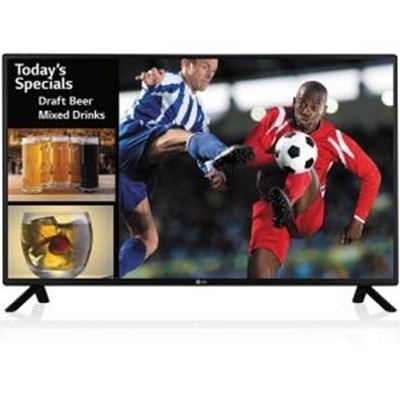 It also features RGB and dual HDMI (supports MHL) ports for interfacing a variety of video sources. 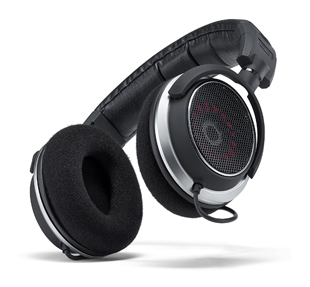 This model has dual speakers built-in for producing stereo sound. A digital optical port and an analog external audio output are also available for outputting audio to external speaker system. 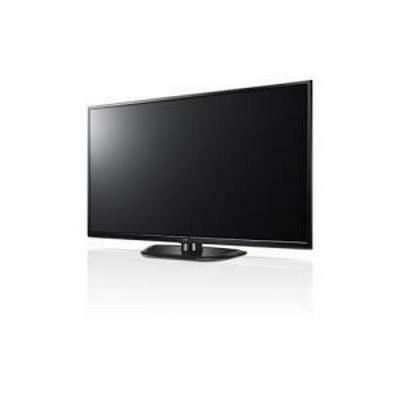 As an ENERGY STAR qualified TV, this model was designed with efficient power management in mind. 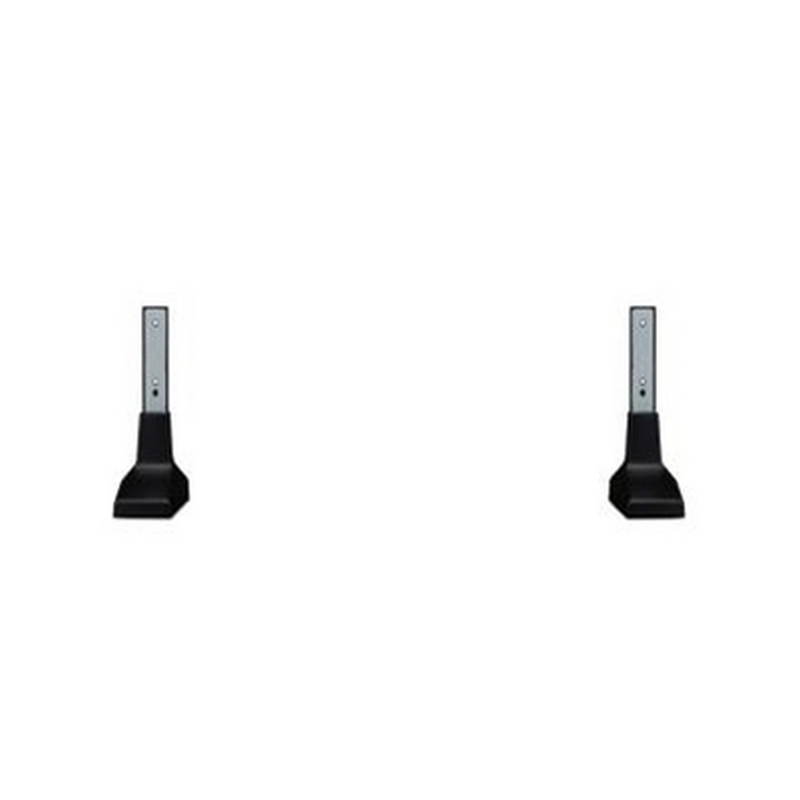 Additionally, this model features wide 178 x 178° viewing angles and it is VESA compatible for optional wall mounting. Pro:Idiom unlocks access to premium content to help assure rapid and broad deployment of HDTV and other valuable digital content. 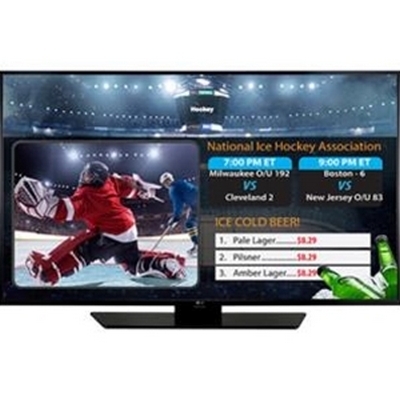 It has been designed specifically for users of premium HDTV content from cable, satellite, or video on demand (VOD) services, and is thus designed to lower costs and reduce maintenance needs. This DRM system is embraced for its security solution, which prevents illegal copying of copyrighted content. 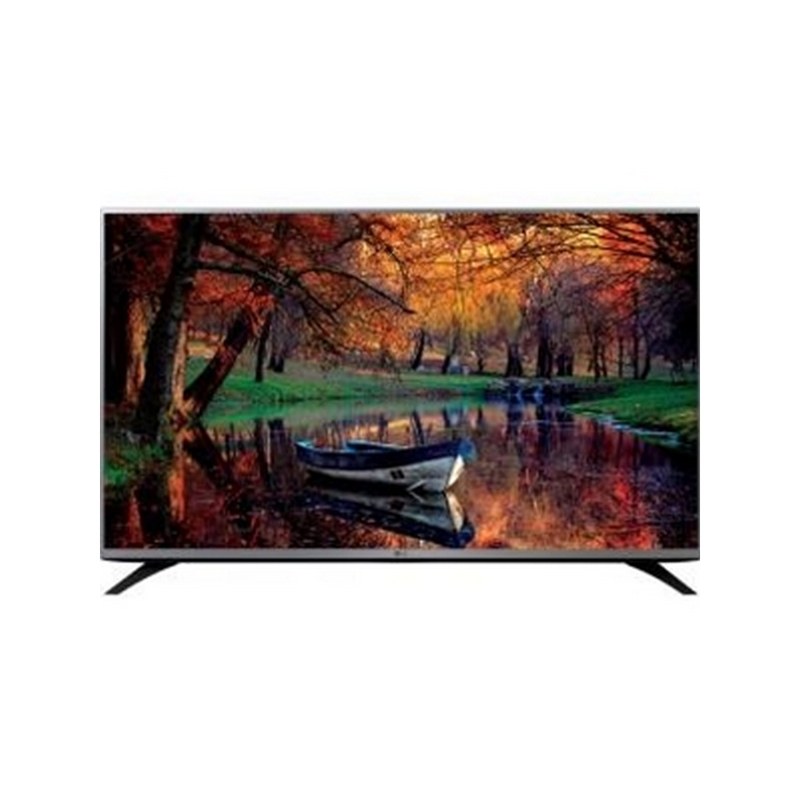 The USB Cloning feature allows you to copy the TV settings onto all TVs using a USB stick, a process that is fully automated to save time without having to set each TV one by one. 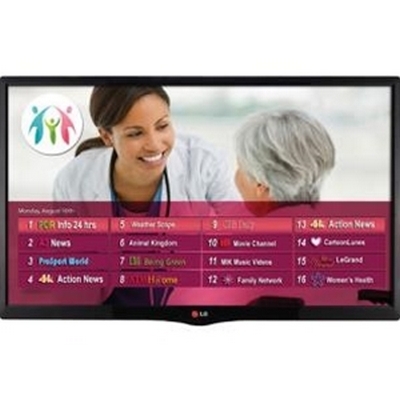 Pro:Centric provides an easy way for the LY560M to interface with interactive program guides, games and internet data feeds, as well as applications designed to connect patients to services such as dietary menus and patient room information. 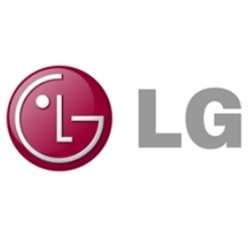 Note: May require additional software and hardware to support third-party partner interactive systems or LG's own Free-To-Guest Pro:Centric Application. When using LG televisions in Free-To-Guest hospital installations there are two options for remote management of TV settings such as virtual channel mapping, cloning of installer menu settings, and other settings. 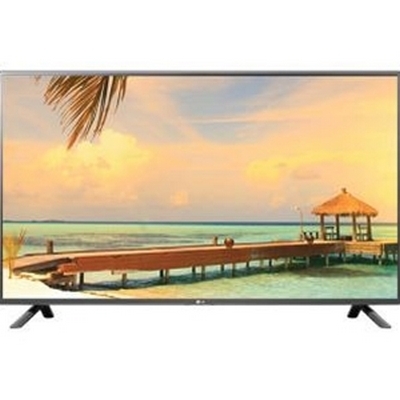 If you use LG's Pro:Centric server, both remote management options avoid having to visit rooms to change television settings, thereby saving labor charges to carry out this work. 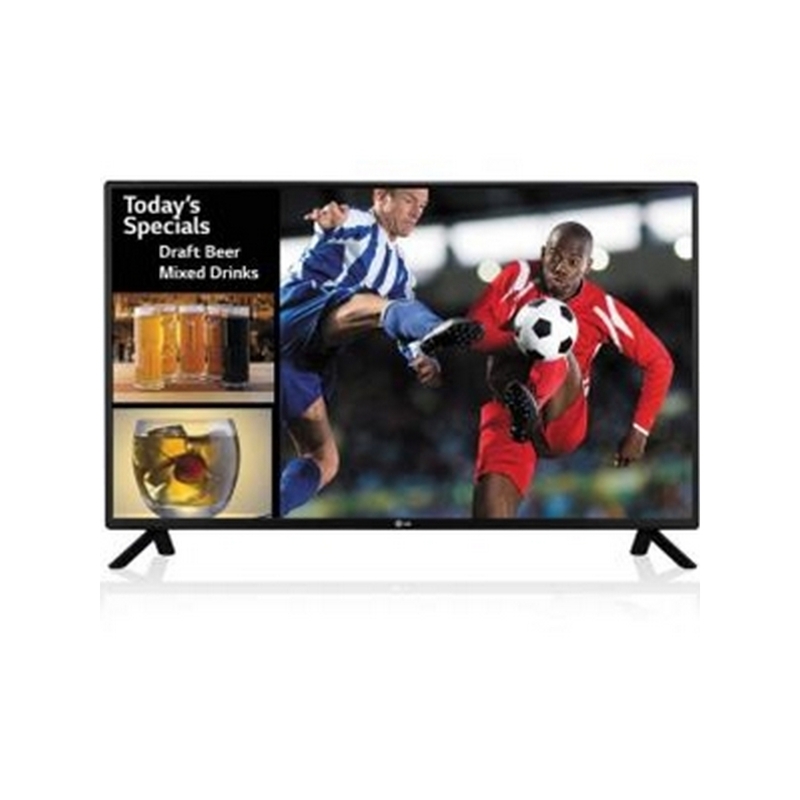 MHL connects smartphones to the TV, mirroring content in HD quality. 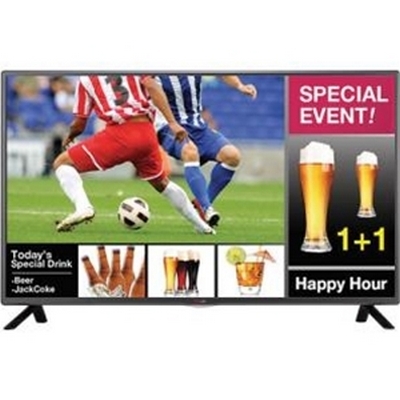 Moreover, it allows you to control the phone's content on the TV with a remote control. 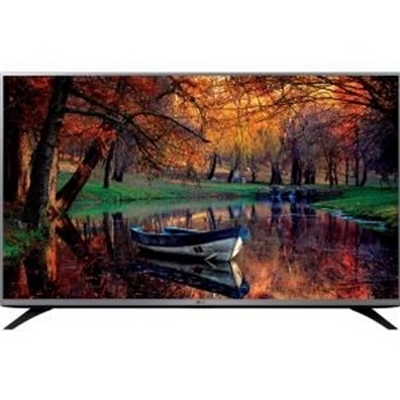 Using built-in algorithms, the TV will automatically reduce the power consumption based on incoming video, while maximizing picture performance. Picture brightness level can be set at the preferred power consumption level to reduce power and increase energy savings. This commercial TV meets the Appliance Efficiency Regulations of the California Energy Commission. RoHS Compliance means that this model meets directive on restriction of hazardous substances. This model meets current reduction requirements of energy consumption and is ENERGY STAR 6.1 Qualified. 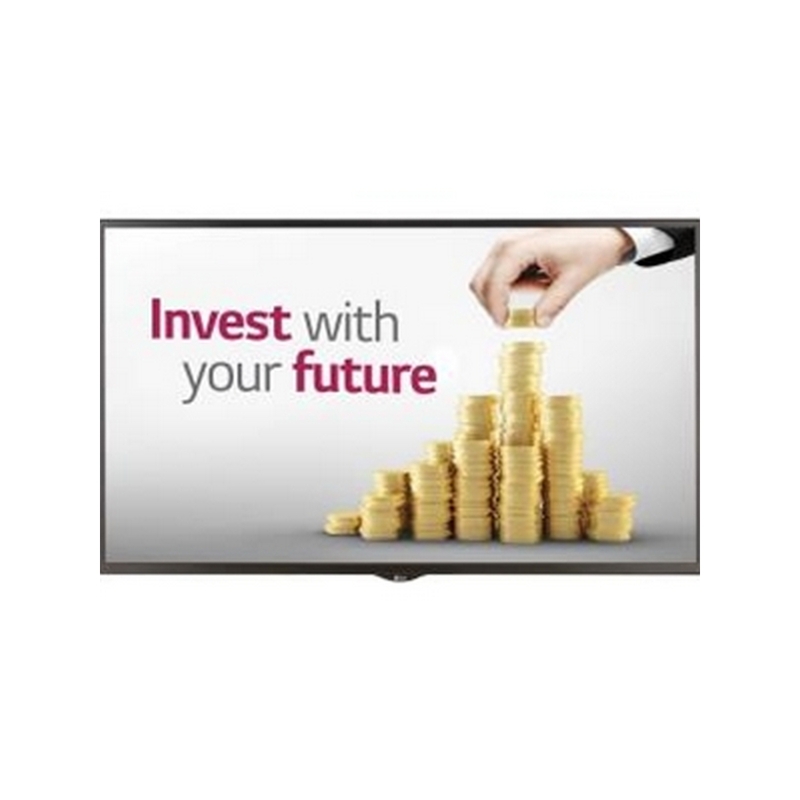 The black 84WS70BS-B 84" Widescreen Ultra HD LED Display from LG Electronics offers a resolution of 3840 x 2160 and a bezel width of 1.1”. This ENERGY STAR 5.1-compliant monitor supports landscape view only and consumes approximately 40% less energy. 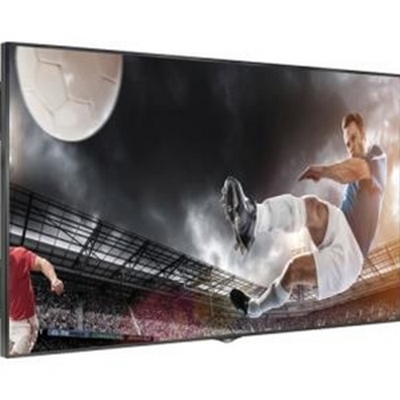 The sheer size of the screen, equal to four 42" class displays, gives you a superior viewing experience. The picture is so big and immersive that it's as if you're in the scene and part of the action. The display has a high resolution of 3840 x 2160 (Ultra HD), which makes details vivid and crisp even when viewed from a close distance. 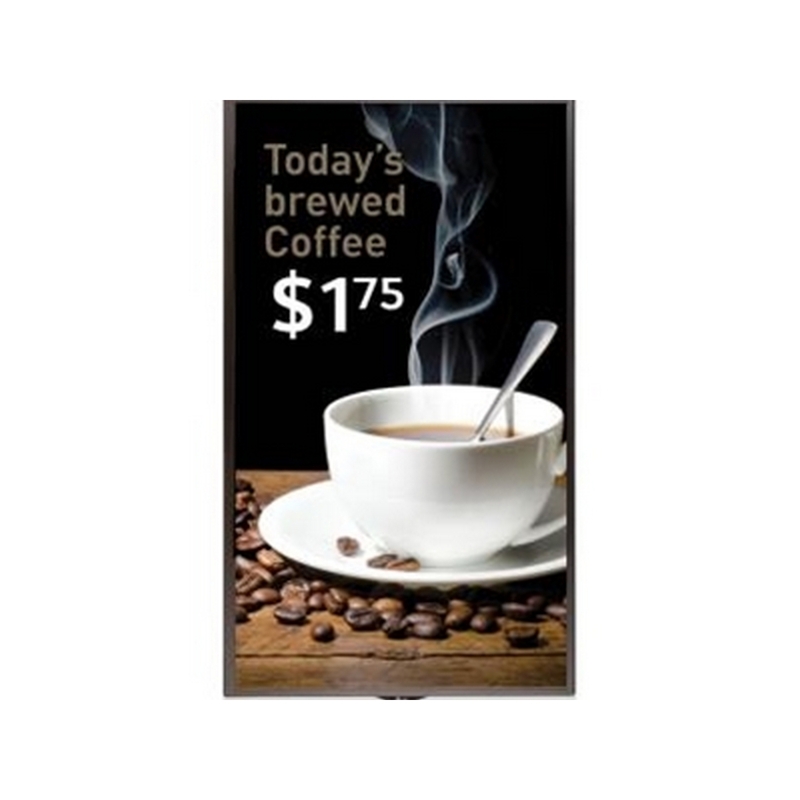 This display has a bezel width of 1.1", and an elegant and modern look that will work well with any decor. 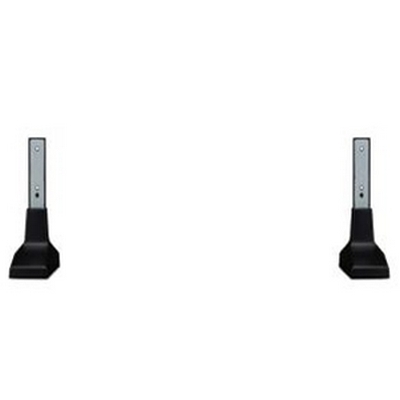 Color changes and distortion are eliminated from any viewing angle. Color change average @ 60° and gamma change average @ 60°. There is minimized image distortion when external pressure is applied. Slim design LG media players can be installed conveniently in the back without taking up additional space. 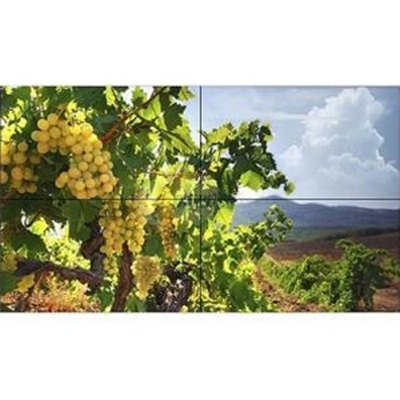 The display's Intelligent Sensor continually monitors room light conditions to automatically optimize picture quality for a more enjoyable viewing experience, which can help save energy. 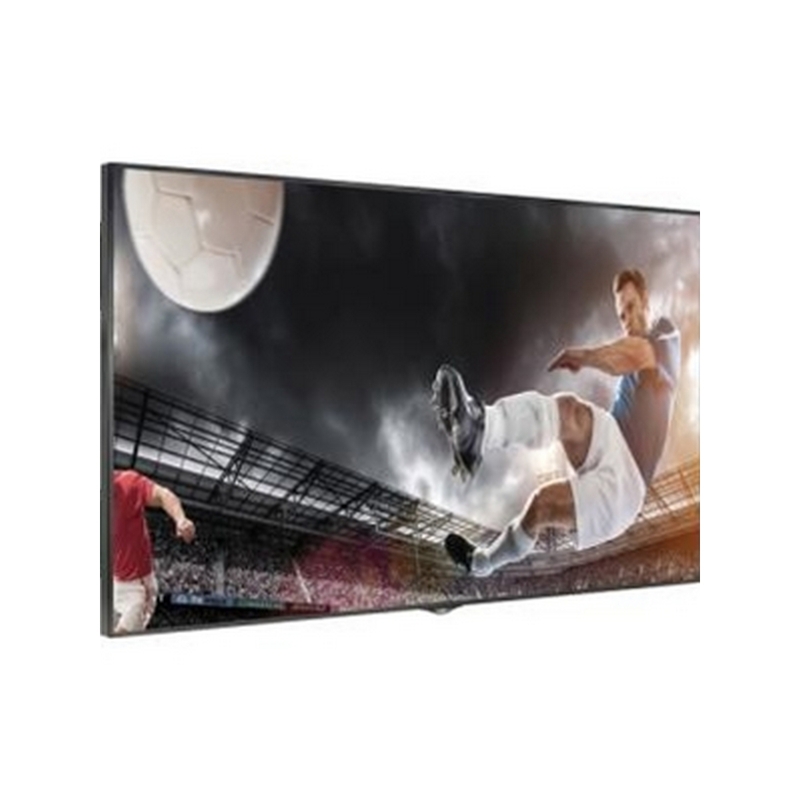 With the help of Dynamic Power Savings using built-in algorithms, the display automatically reduces power consumption based on incoming video, while maximizing picture performance. Using the Static Power Savings feature, the picture brightness level can be set at the preferred power consumption level to reduce power and increase energy savings. 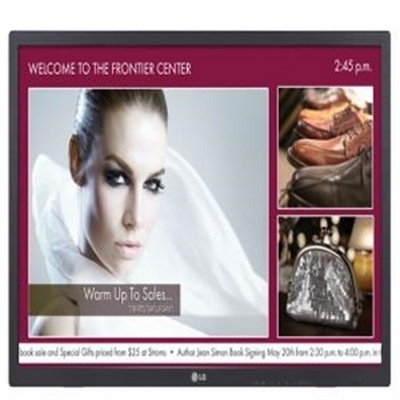 The display is ENERGY STAR 5.1 compliant and consumes approximately 40% less energy. In standby mode, it uses less than 1W of power and meets environmental regulations while excluding the use of harmful materials (RoHS) and reducing CO2 emissions. 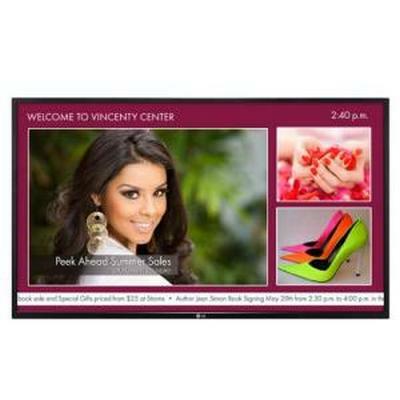 Additional features of this public display include Speaker and Power Indicator On/Off, Clear Voice II, Key Lock, Auto Config/Phase, Auto Power/Source Memory, Position/Size, and Brightness/Contrast/Backlight. It features a handle, temperature and Auto Brightness sensors, and the DPM select option. 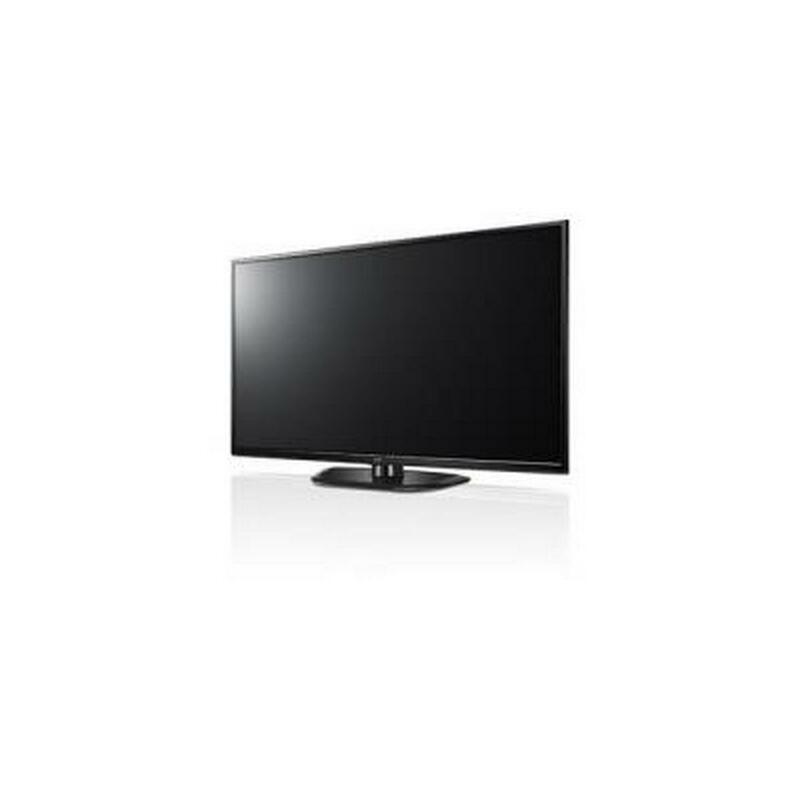 The black LG 32SE3B-B 32"-Class Full HD Commercial IPS Monitor is capable of displaying detailed content at wide 178° viewing angles. 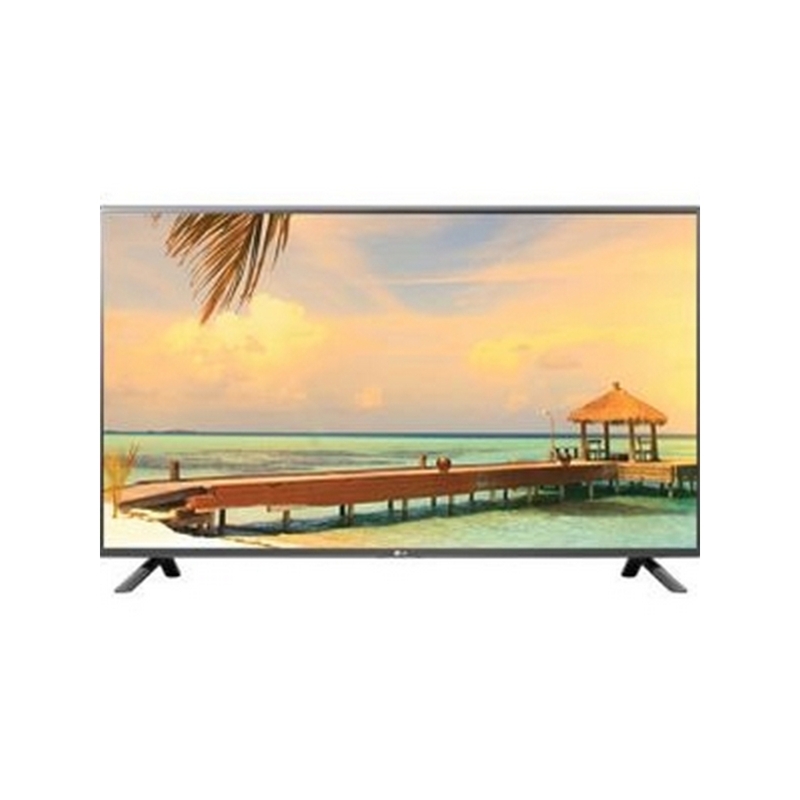 This model has a 32"-class IPS display and features a Full HD 1920 x 1080 native resolution for viewing detailed high-definition content. 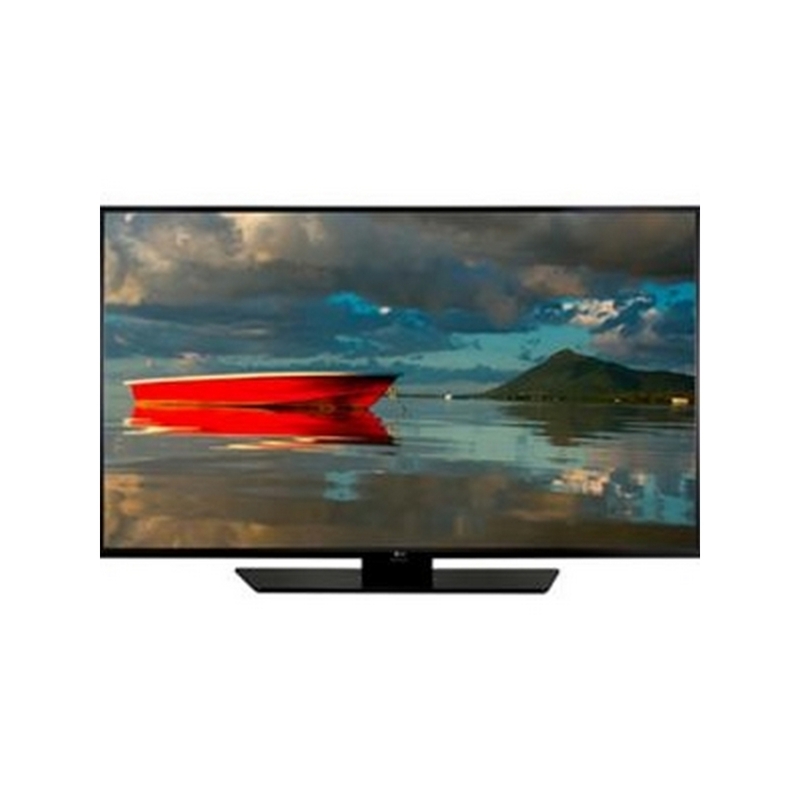 The 350 cd/m² brightness output and 1100:1 contrast ratio showcases this monitor's ability to handle light and dark on-screen images. 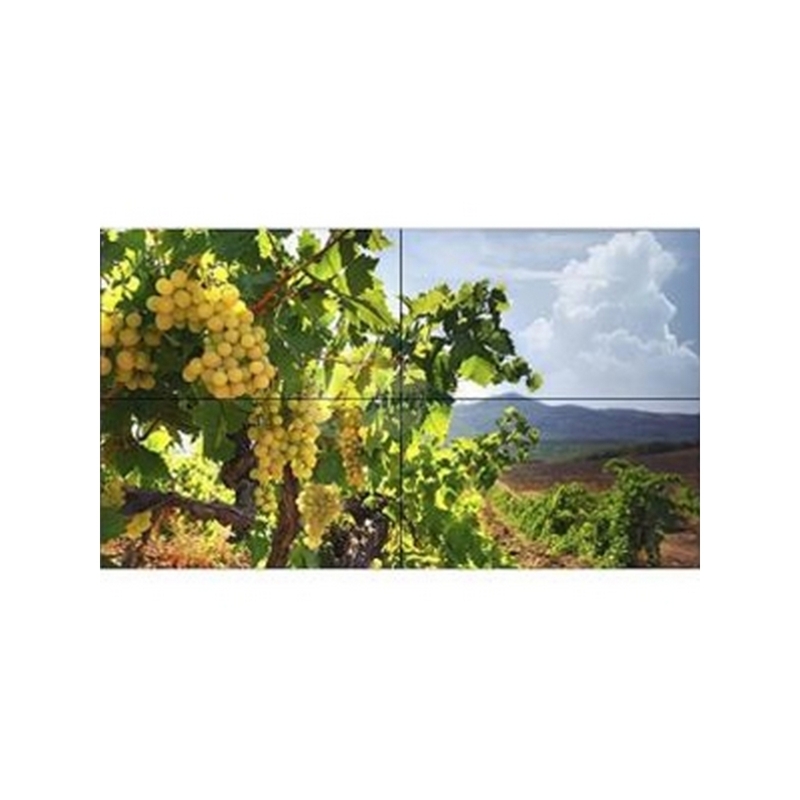 The 32SE3B-B also offers the flexibility of supporting portrait and landscape viewing orientations. 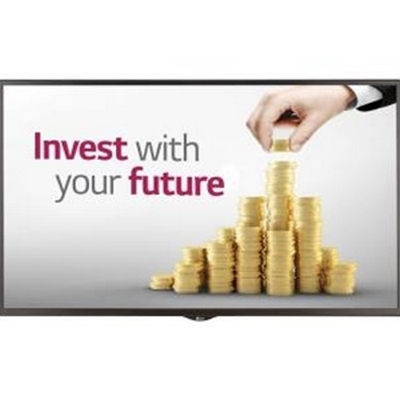 This LG commercial monitor is suitable for use in 18/7 environments and offers DVI, HDMI, and VGA inputs for interfacing a variety of external devices. Left and right speaker outputs are available for connecting optional speakers. 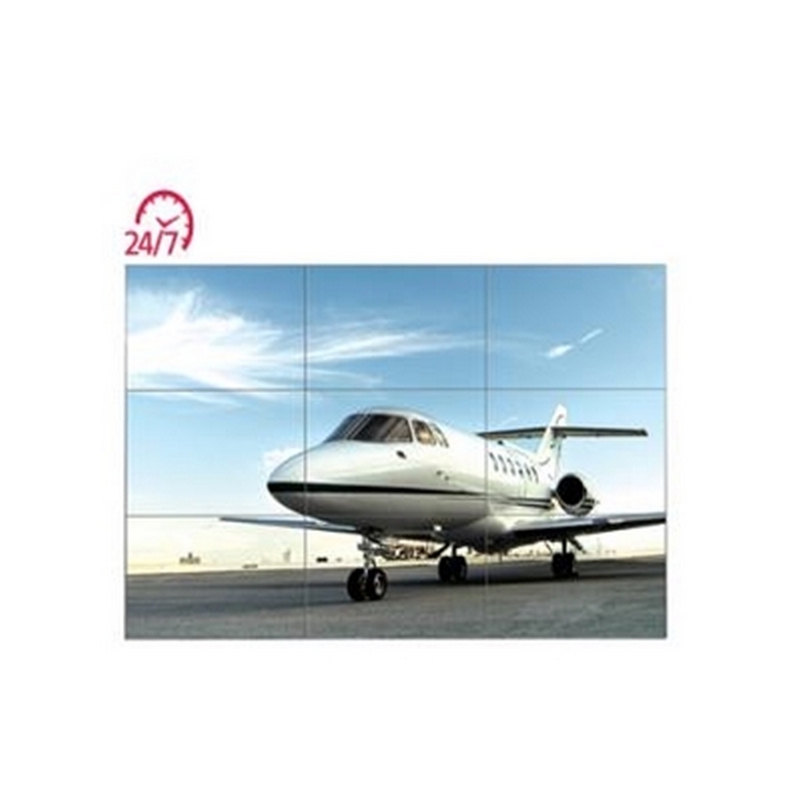 The LG 32SE3B-B also features RS232C and LAN interfaces for integrating into control systems. 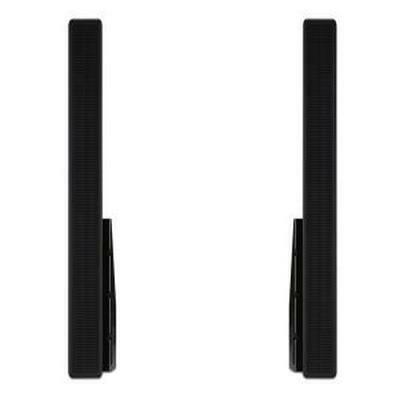 Additionally, this monitor is 200 x 200 mm VESA compatible for wall mounting. 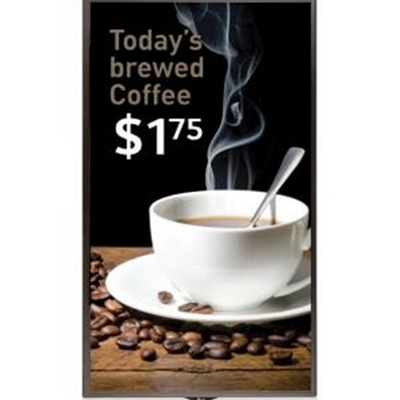 With the included SuperSign software, you can run messages on up to 50 display screens in the form of a billboard without additional hardware. Advertisements, information, and broadcast content can be arranged on the same screen to attract attention and deliver specific messaging to your customer base. Conformal coating helps protect against water, dust, and iron powder deposits, which accumulate in harsh environments. 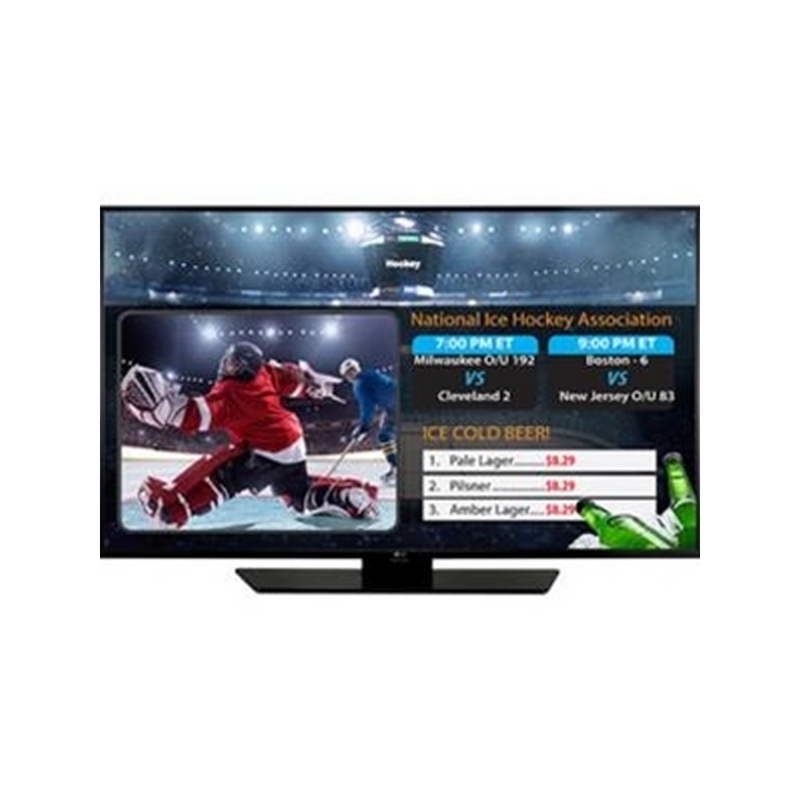 This feature enables monitoring of TVs on the network by the head end or a cloud server for maintenance and administrative purposes. The instant on/warm mode feature allows the TV to communicate in a background mode while the TV is powered off and without disruption to the guest, providing the ability to deliver remote software updates from the head end server and quick boot-up of embedded applications. The detachable logo can be removed and repositioned to the desired setting. 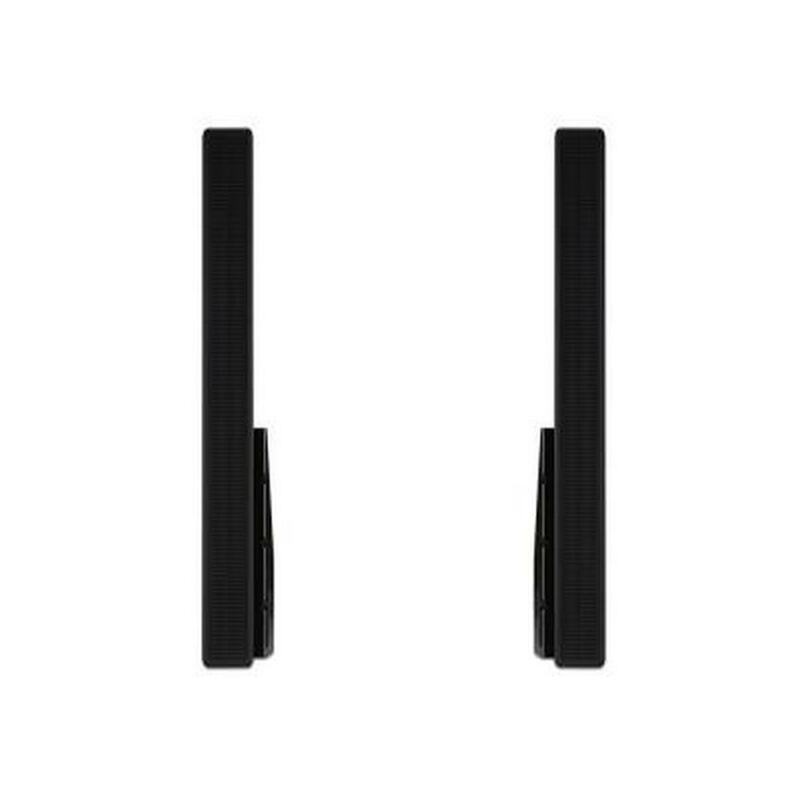 With the sold separately Wi-Fi dongle, you can wirelessly play and schedule content using the USB connection without the need to connect to a server. Even with the monitor powered off and no signal from the media player, the monitor will still stay accessible remotely via Stand-By Screen mode. This feature is designed to prevent residual images with the screen transition feature.